It started last year when I spotted the gorgeously embossed single highlighters by Anastasia Beverly Hills. 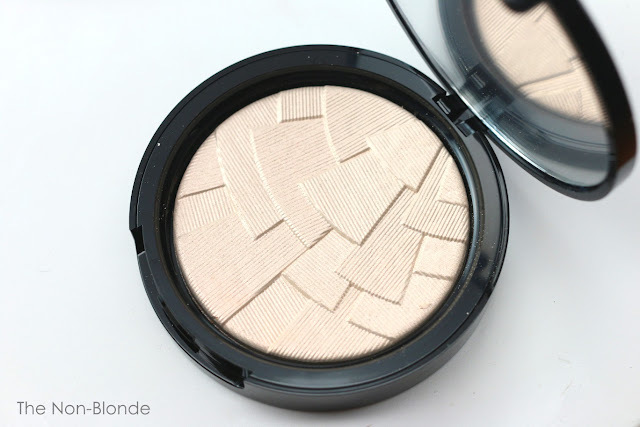 I was completely taken by the Art Deco pattern, and was interested to see that the highlighters were manufactured in Italy (like similar products by Laura Mercier and Bobbi Brown, to name a few). I picked Riviera and Starlight to the great amusement of some friends, since apparently these are the strongest and boldest highlighters (Riviera is a rose gold and Starlight is a very pale beige gold), and I'm known for a having a very light hand with illuminating products and a general cautiousness when it comes to trends. But I liked both. 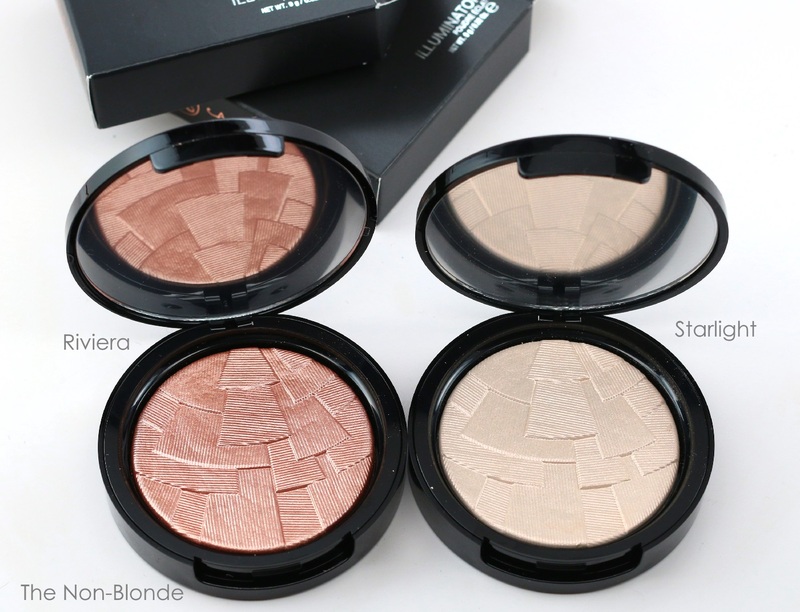 Loved them, even, and quickly learned to make them work using a fan brush (Laura Mercier and Smashbox), a super fluffy directional brush (Hakuhodo G5538 or a small Yachiyo) and the aforementioned light hand. 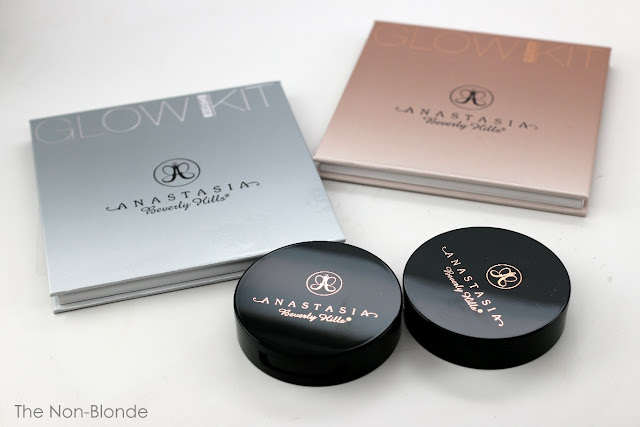 A couple of months ago Anastasia released two more highlighting products, the Glow Kits. My enjoyment of the singles made me interested in these four color palettes, and since I coveted several shades from each kit and there was a big sale on the Anastasia Beverly Hills website at the time, I got both Gleam (supposedly the cool tone version) and That Glow (warm tones). I was surprised to see that these highlighters were made in China and had a different texture and finish. Not bad or even any less spectacular, just different. 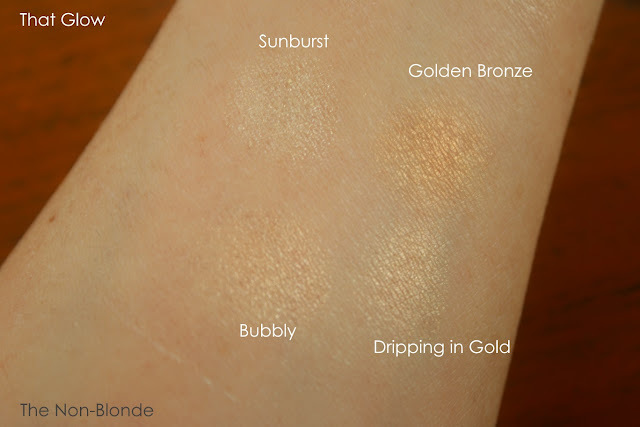 The Italian-made singles appear to have a baked formula that translates to a slightly molten metal appearance (hence the need for a very light hand). 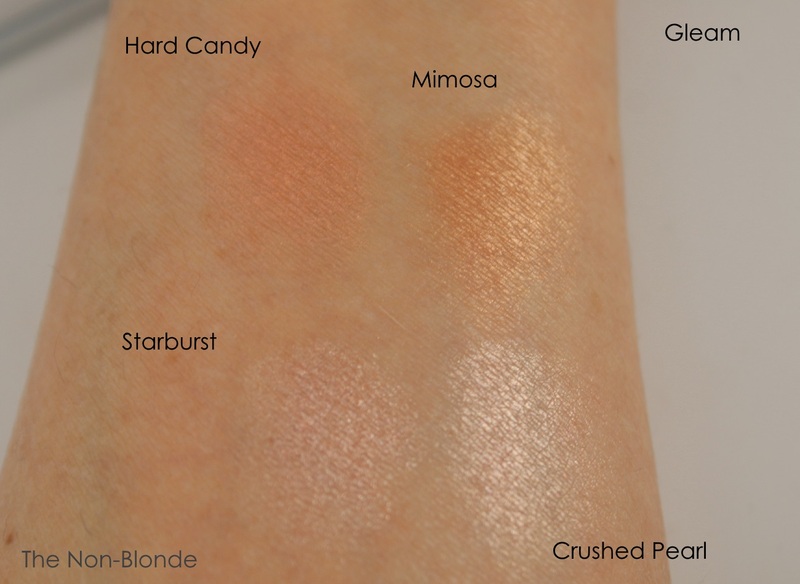 The newer foursomes are regular pressed powders that feel extremely silky and finely milled. The texture is smoother than Hourglass or Smashbox, and it feels less powdery than Becca Moonstone, if somewhat less pigmented. The colors in each kit can be mixed and blended, used together or separately, and provide quite a bit of versatility. They can be used anywhere on the face, including as eye shadows (the same goes for the singles, though their high shine makes them probably more suitable as an inner corner illuminator than an actual lid color). 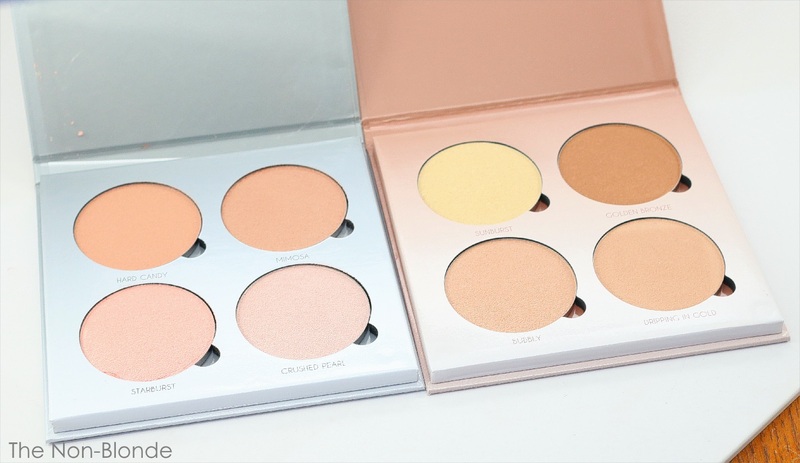 They can also be popped out of the cardboard packaging and transferred into magnetic palettes in various combinations. I highly appreciate that. 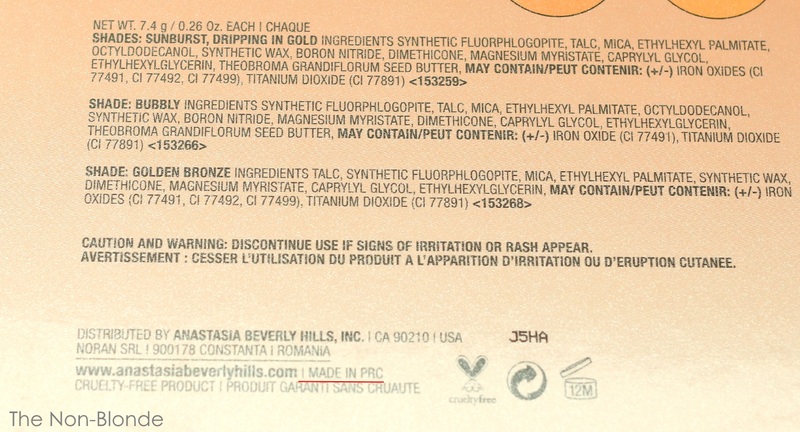 I don't know why the Glow Kits are made in China, as Anastasia manufactures products both in Europe and in the US (the single eye shadows, though the limited edition Self Made eye palette was made in China). 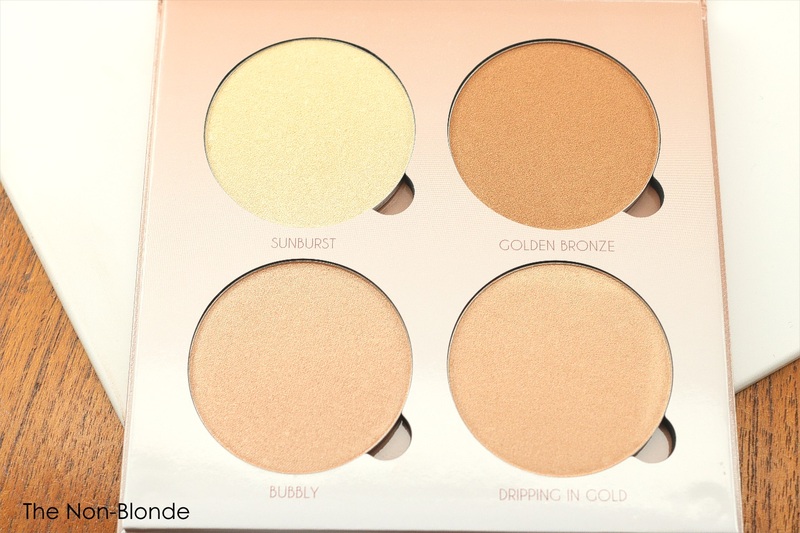 The price is not exactly drugstore level (compare to the $9.74 for a contour/highlight kit from L'Oreal or Maybelline that's made in the US). 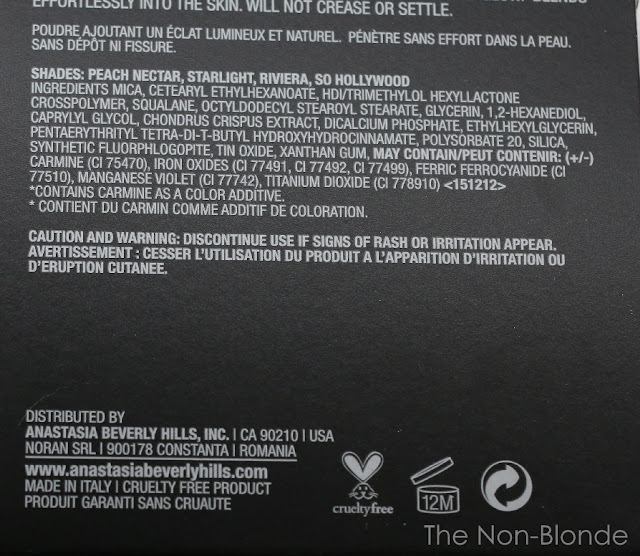 The cardboard packaging is fairly cheap and doesn't include a mirror, unlike in the single Illuminator, so we're paying mostly for the product (ok, and for the YouTube sponsorships, but that's a different rant). 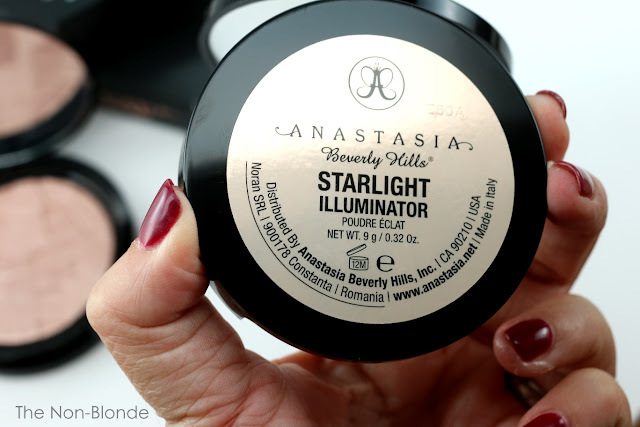 In any case, all forms of Anastasia highlighters are of high quality, and the kits are definitely an excellent option to experiment with color illumination. 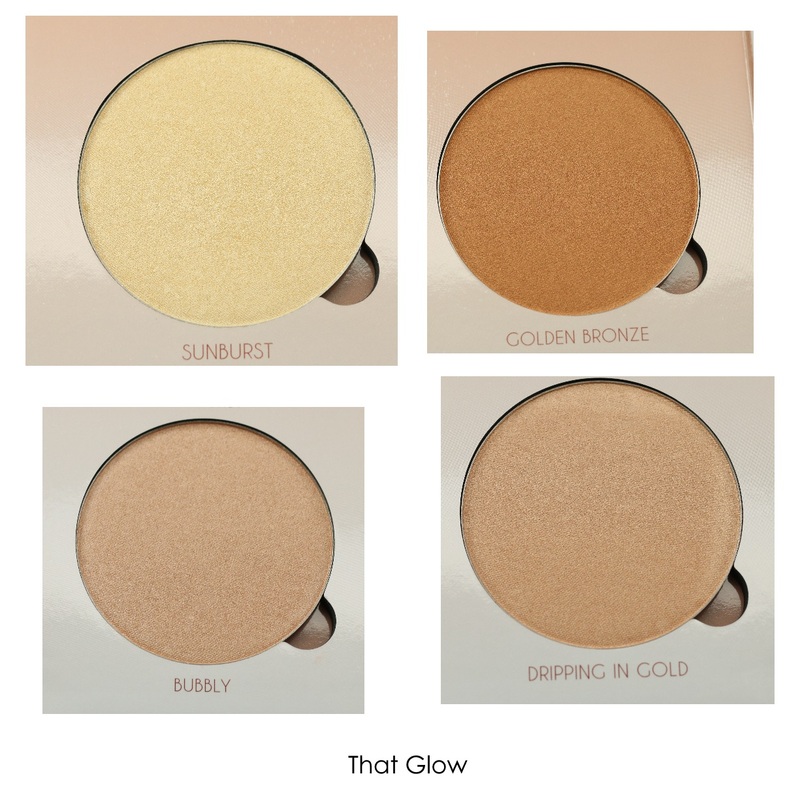 Anastasia Beverly Hills Glow Kits ($40 each, made in China) are available from Ulta, Sephora, and directly from the company's website. They're limited edition, but everyone has them in stock at the moment. 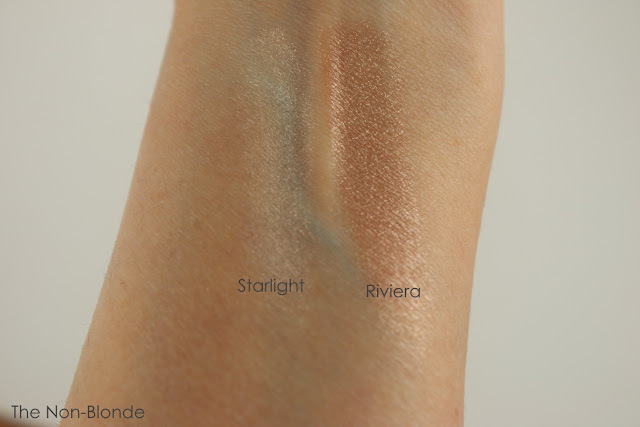 The single Illuminators ($28 each, made in Italy) are supposedly part of the regular line, but out of the four original colors only Riviera and Peach Nectar are currently stocked on Macy's and anastasiabeverlyhills.com. The other retailers don't offer them at the moment, but Starlight can be located online albeit with a scalper price tag. 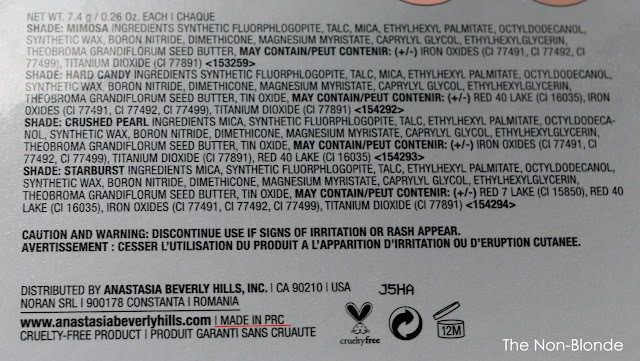 I'd rather call every Macy's in the country and not pay the markup. 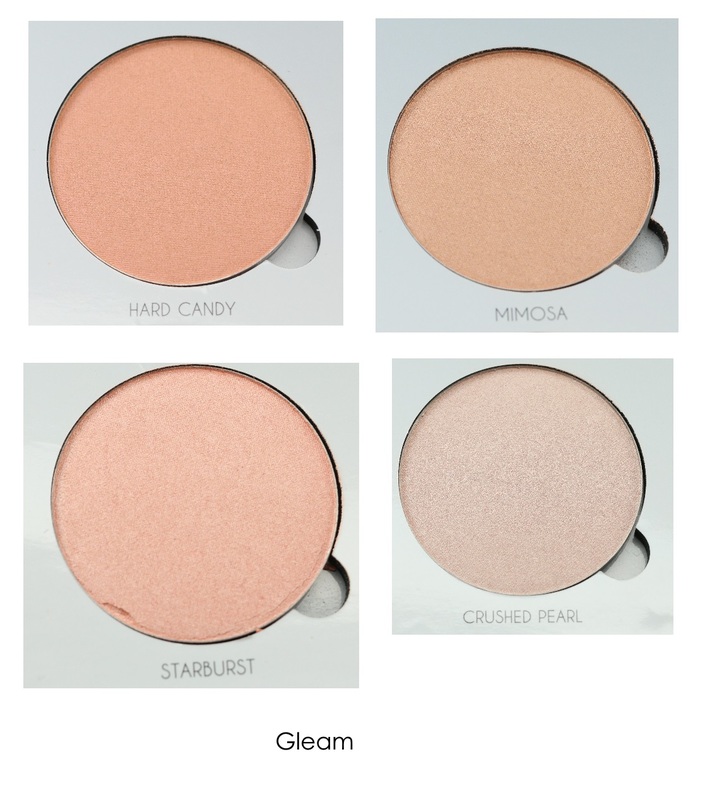 I just received the Gleam kit from Sephora last week. I haven't even used it yet. Glad you tested them and found them worthy of our money, face space, and time! 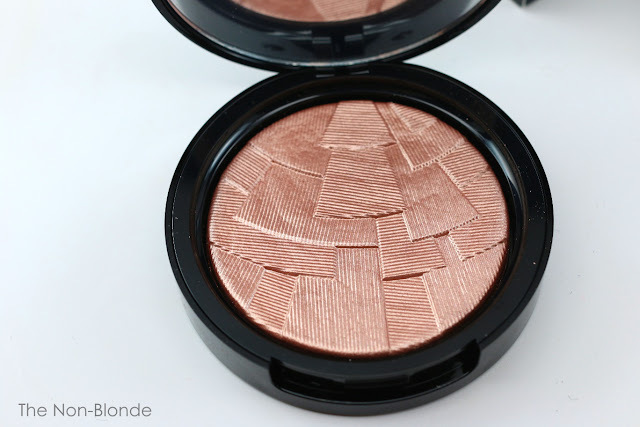 I was pleasantly surprised to see a review of highlighters on your blog. 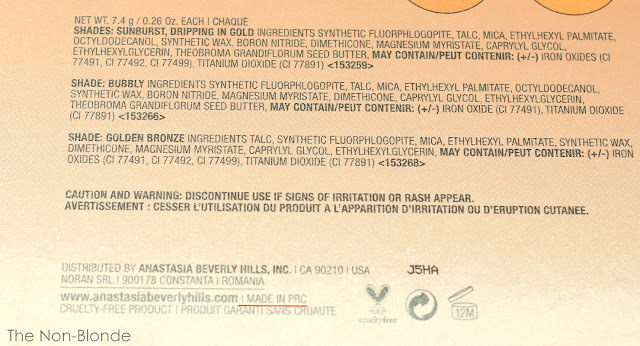 I am also careful or light handed with my shine since I naturally produced it, in an irritating fashion! But I think I need Starlight in my life right away. Thanks for posting this review, Gaia. I actually own more highlighters than makes sense. I do love to shine. A little bit. Sometimes. It's a gorgeous color, isn't it? 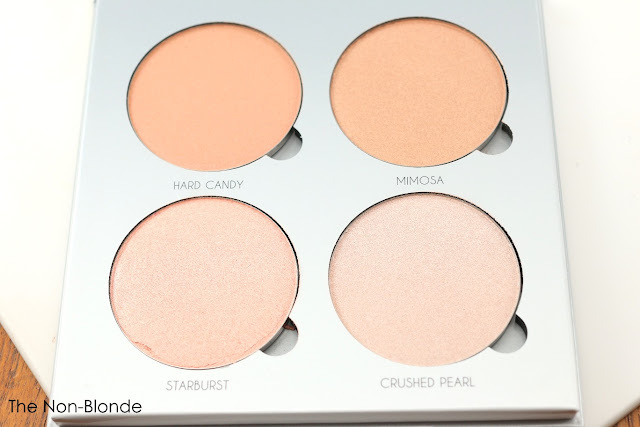 And looks fabulous with a warm toned blush. Thanks for posting this review Gaia, the Mimosa looks gorgeous! I think it'll look lovely on you, Liz.